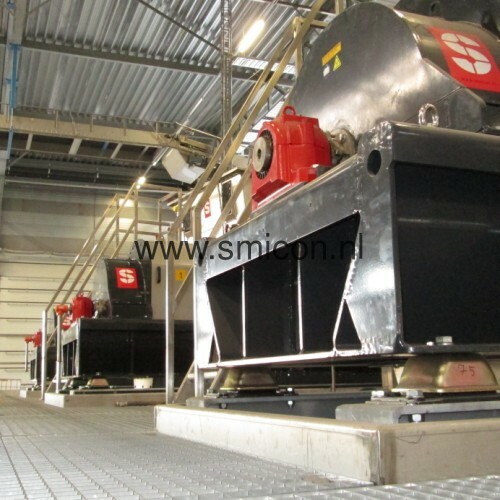 Because Smicon designs, produces and installs her own machines and installation, she has a lot of experience in processing steel and stainless steel for many applications. Below you will find two related topics. 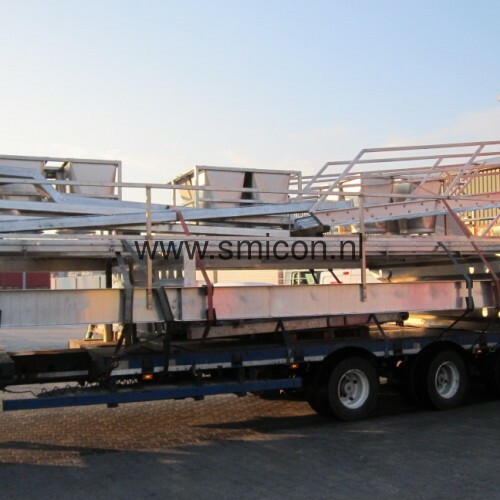 According to the European regulations all steel and aluminum structures need to be provided with a declaration of conformity as of July 1st 2014. After an audit by TÜV, our process has been approved in accordance with all requirements. 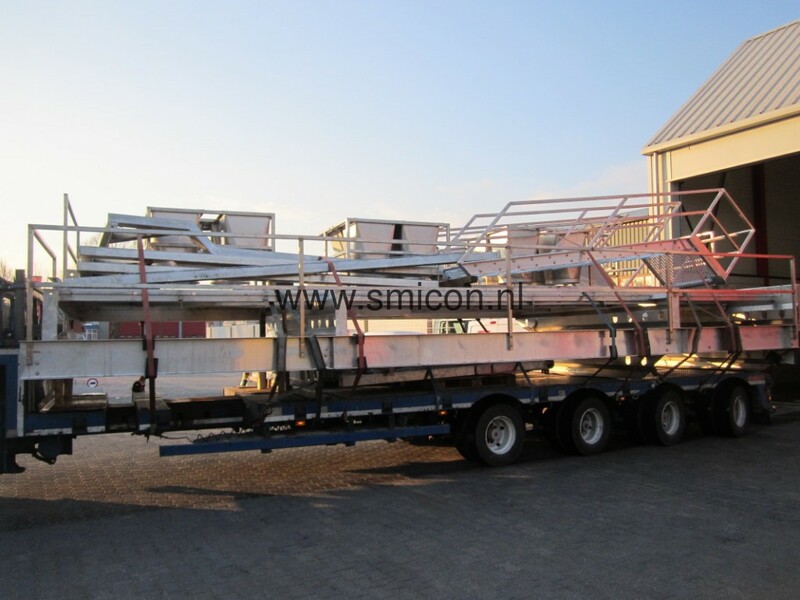 We therefore have obtained the EN1090 certificate for steel and stainless steel platformes, stairs and related products. 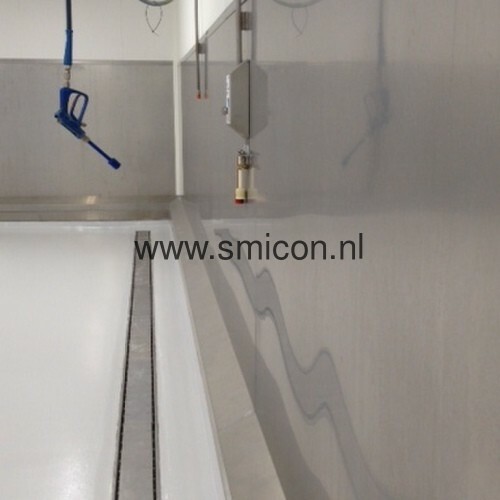 One of our clients, a food-producer, contacted Smicon to cover the walls of their cleaning room with stainless steel. 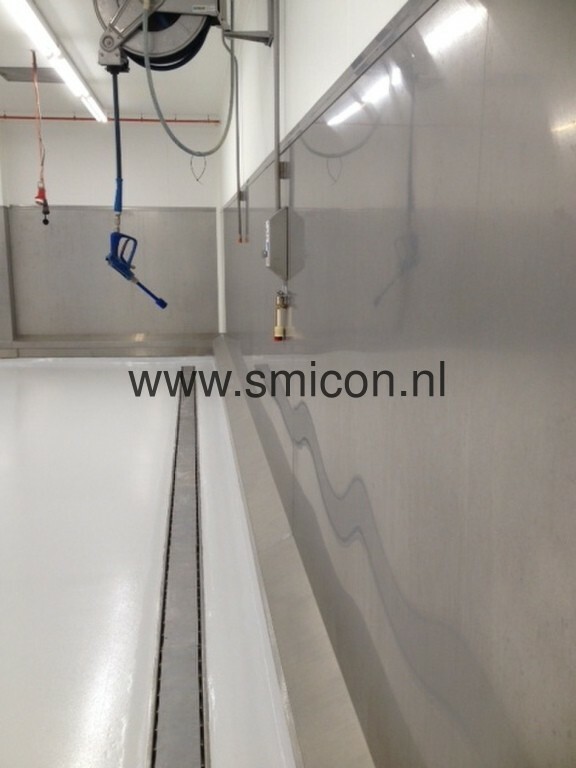 Due to the hygienic and aesthetical point of view, this kind of cladding is used more and more. It is used not only in cleaning rooms, but also e.g. 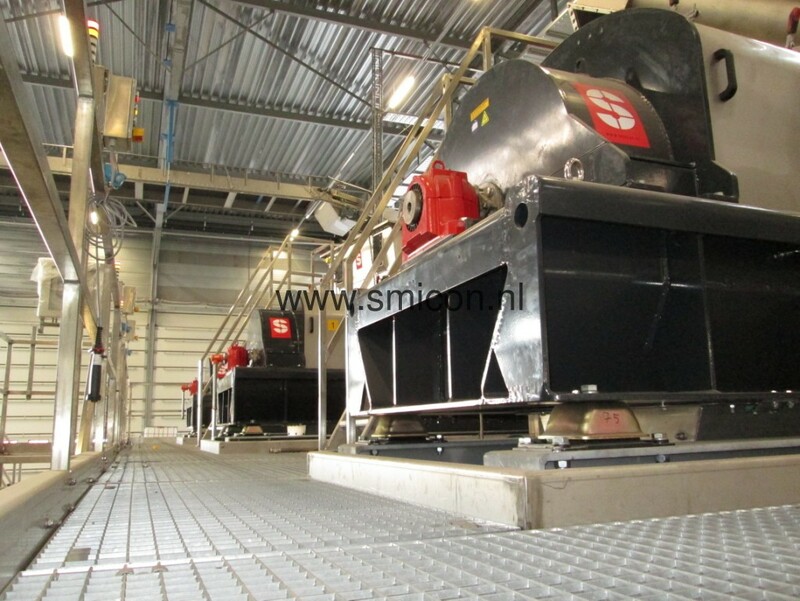 in large industrial cleaning machines and processing areas.